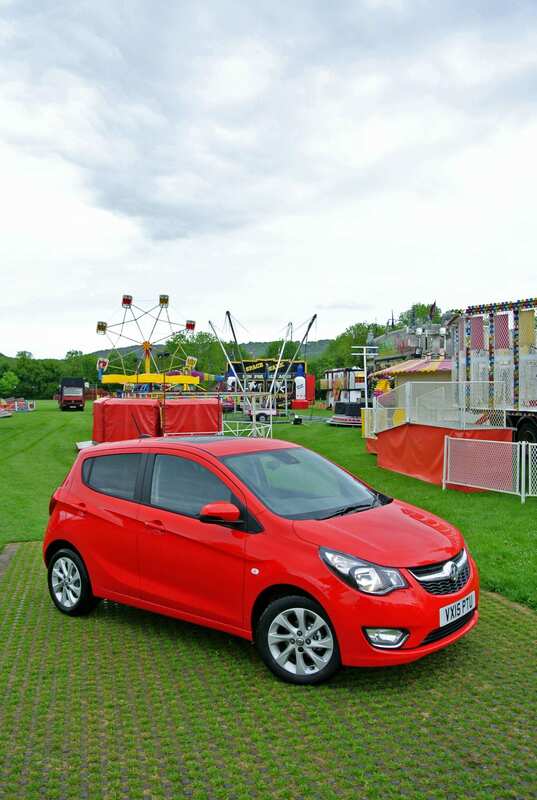 After an absence of 36 years, the Viva name has been resurrected by Vauxhall for its latest budget-priced model and Iain Robertson ponders over its name, its place in the market and where Vauxhall is headed. Registering model names presents a headache of nightmarish proportions to every single carmaker. It is not the first time that a smaller manufacturer has been forced to bow to an automotive giant, under intense legal (copyright) pressure. However, Ford Motor Company was forced into an out-of-court settlement with kit-car company Dutton, when it decided to grab the Sierra name for its Cortina replacement; so it does happen the opposite way too. Vauxhall had exercised the Viva name quite extensively from its 1963 introduction as a fairly inexpensive, bent tin, boxy runabout. While looking very dated today, as its only contemporary rivals were the Ford Anglia and Morris Minor, it was eminently modern in the early-sixties. It was also a very cheery little machine, powered originally by a 1057cc engine that is little larger in capacity than its latest iteration, it delivered a zesty 44bhp (54bhp in ‘90’ trim). For three semi-alphabetic generations (from HA to HC), the Viva provided zeitgeist motoring for drivers on modest budgets. There were up-market and sportier variants but, at its core, the Viva remained affordable, comfortable, well-engineered and, with US-style, built-in obsolescence in mind, disarmingly rusty, a factor that did lead to its demise. We are fortunate that Vauxhall maintains a classic car collection, because spotting a Viva of any denomination is not unlike recognising rocking-horse droppings for the first time…the company’s white HA model is maintained in pristine nick, even though it almost towers over the latest Viva dimensionally. Viva is a great name, which is as good a reason as any for Vauxhall to reissue it. Naturally, I am bursting to tell you all about the latest Viva but, firstly, I should like to contemplate the Vauxhall position. While Fiat was always referred to as ‘the consummate small car manufacturer’ and, I am sure that GM (Vauxhall’s US parent) would not like to be reminded too much about its ‘strategic liaison’ with the Italian former giant, in light of recent product introductions by Vauxhall, it does appear that the British-based firm is taking on-board that soubriquet. 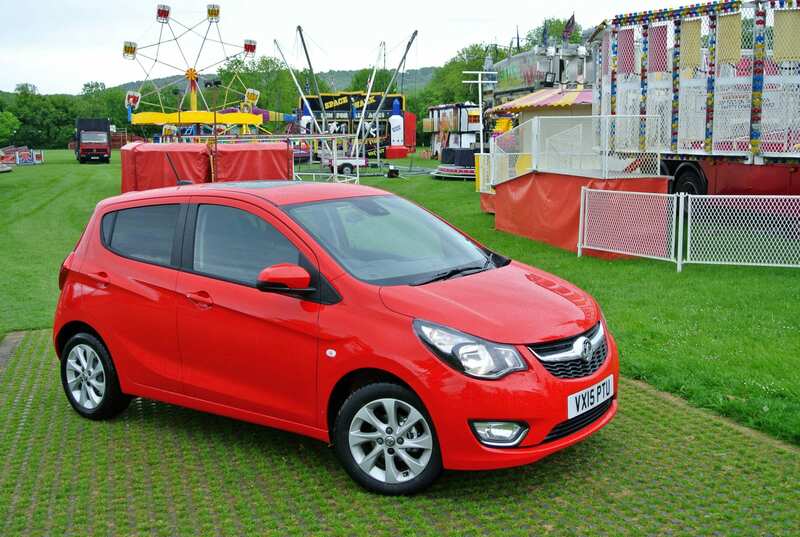 In just the past few months, Vauxhall has introduced us to Adam and Corsa model ranges, both of which I can state categorically that I have enjoyed immensely, even believing that the latest Corsa is now not merely a Ford Fiesta rival but also the consummate Fiesta beater. 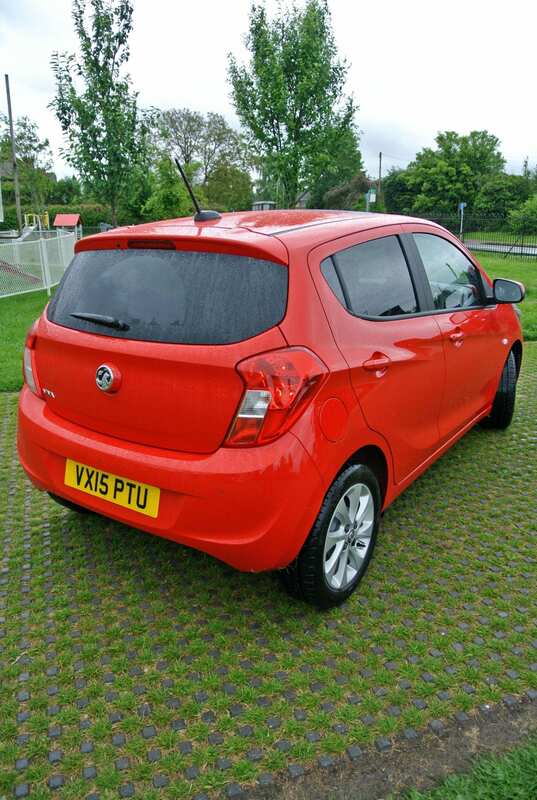 Viva means another facet to Vauxhall’s small car revolution. Is it a tolerably apposite introduction? Can Vauxhall afford to risk a broadening of its small car foundations, especially as profit margins are slimmer? Well, I can tell you a categorical ‘Yes’, in both instances. A fantastic price-point of just £7,995 to £9,495, from SE to charismatic SL trim levels (the latter a nod to the original Viva, which begs the question, why did Vauxhall not bring back ‘Deluxe’ too?) is the first step in the right direction. While there is a cross-over (price-wise) into lower-end Corsa territory, the two models are quite different. Yet, it needs to be remembered that we live in a fast-ageing population, which can mostly remember the original Viva but which also desires an acceptable downsize in its car choice. While I am not suggesting that every ‘blue-rinser’ from leafy Surrey to the luscious Highlands of our sceptred isles would find true happiness with Viva ownership, I could not help but feel, when experiencing the Viva on some of Bedfordshire’s and Buckinghamshire’s least busy back-doubles, that Mr and Mrs Molehusband, from Acacia Gardens, would simply adore it! Yes. It is ‘that’ charming, which is not a word used frequently around the motor industry these days, having been supplanted by ‘purposeful’, ‘practical’ and ‘performance-packed’ instead. Yet, the Viva is all of those things but not necessarily in the ways you might think feasible. Its appearance, which is an important factor, if you want to avoid looking like a dunce in the tiddlers’ sector, carries the latest broad grin of the Vauxhall crossbar grille, which gifts the sub-compact a wider look than its dimensions highlight (3.6m long, 1.4m tall, 1.6m wide). It avoids the slab-sidedness of many of its real rivals by having pertinent but subtle scallops woven into its flanks, while its tail is reminiscent of the Kia Picanto, Hyundai i10, Suzuki Celerio and so on. This latter aspect is not unavoidable but does link it to the Daewoo factory (owned by GM, in South Korea), where the Viva is produced. Internally, there is space in abundance…okay, not necessarily behind all two metres of me but enough all the same for most ‘normally statured’ people. 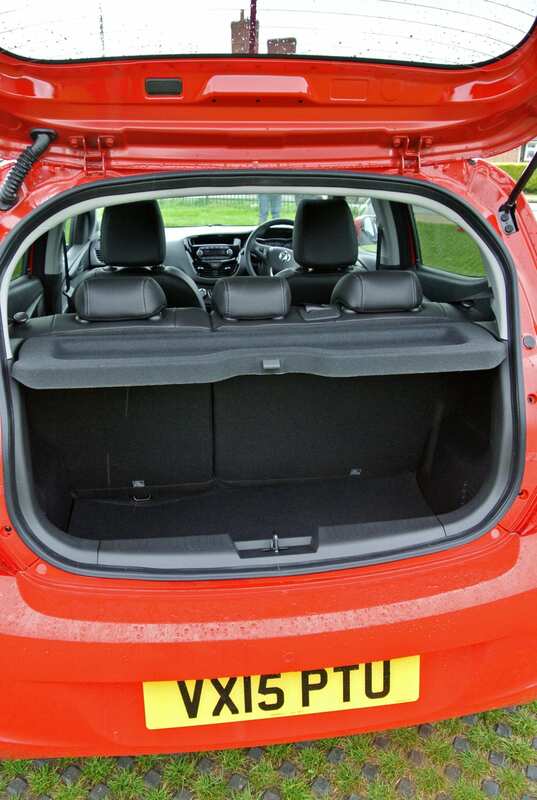 There are seatbelts for five, although that ‘fifth’ rear seat occupant will need to be of uncomplaining nature. The dashboard design, while lacking the ‘soft-touch’ tactility of Vauxhalls higher up the chain, is genius. The instruments are crystal clear, the hide-wrapped tiller is comfortable, the little rubber-matted storage slots are ideal and even the ‘piano black’ centre console looks excellent and not out of place. Overall, the interior detailing is not just superbly stitched together but it infers an impression of judicious classiness. Nothing jars. Everything fits. However, the standard specification is phenomenal. From ‘lecky windows, heated mirrors, daytime running lamps and foglights with cornering function, to cruise control, on-board computer, city mode steering, a high-quality stereo and remote controls mounted on the steering wheel spokes, the entry-level version leaves only air-con to be desired (but available on the SE A/C variant for £490 more). Remember, this is the £7,995 ‘base’ specification model. Opt for the SL and your Viva gets privacy glazing, lane departure warning, a tad more ‘bling’, proper climate control and access to plenty of up-market options. No Viva owner is going to complain about poverty-class motoring, because the Viva does not possess it…£500 adds an electric, glass sunroof…heated seats will add £150…while the options list is not extensive (because it does not have to be), it does allow some personalisation to take place. Driving the Viva is where the real joy lives, because, of all the tiddlers that I have driven in recent months, the Viva is not outclassed by any of them. Perhaps its most impressive aspect is the ride quality. Small cars are not exactly renowned for their ability to absorb bumps or changes in road surface conditions. Most of them crash noisily into potholes and leap ungraciously over speed humps. There are no such shenanigans for the Viva. It rides out the worst conditions and remains stoically stable at all times. Even conducted at quite high speeds, the Viva provides a splendid larger-car-impression to its driver and occupants. The ride can become a touch unsettled at those higher velocities but not with detriment to Viva’s stability, or steering, which remains well-connected and faithful to driver input. It is most surprising. My own Skoda Citigo demands that I slow down to crawl speeds to negotiate most city centre obstructions to smooth progress and I regard the Viva’s rate of progression considerably above that of the Up!/Mii/Citigo. The car corners flatly, with only minimal body roll and no signs of throttle-on understeer, or throttle-off waywardness. It just drives as sweet as a nut. The Viva is also armed with excellent brakes, which work as effectively at high speeds, as they do in the urban sprawl. The lightly weighted clutch pedal is matched by a deliciously slick 5-speed manual transmission. Naturally, 72bhp, while competitive with the rest of the class, is never going to scare the crows, even though it will pull the skin off the proverbial rice pudding. I am slightly disappointed by the 104g/km CO2 rating, as it will demand a VED payment that sub-100g figures avoid. The same applies to the insurance group rating of ‘4’, which places it two above that of my Citigo and will factor in additional, if minor, premium costs. Its 62.8mpg Official Combined fuel figure will not be within the reach of most drivers. I returned 44.8mpg (on-board) in a mix of town and country driving, which does not compare well with the over-50mpg from my Citigo. Yet, I am sure that, with some extra miles on the odometer (of a brand new car) and greater familiarisation, around 50-55mpg should become satisfyingly the Viva norm. Its top speed is given as 106mph but as I was unable to test that effectively, I can tell you that the Viva reaches 80-90mph (indicated) with some ease, although its 0-60mph time of 13.1 seconds does feel a touch sluggard. Yet, the 999cc engine is a gem and it revs freely, if breathily, all the way to almost 7,000rpm, which ensures that you are able to hang onto the gears, while overtaking (a useful element). 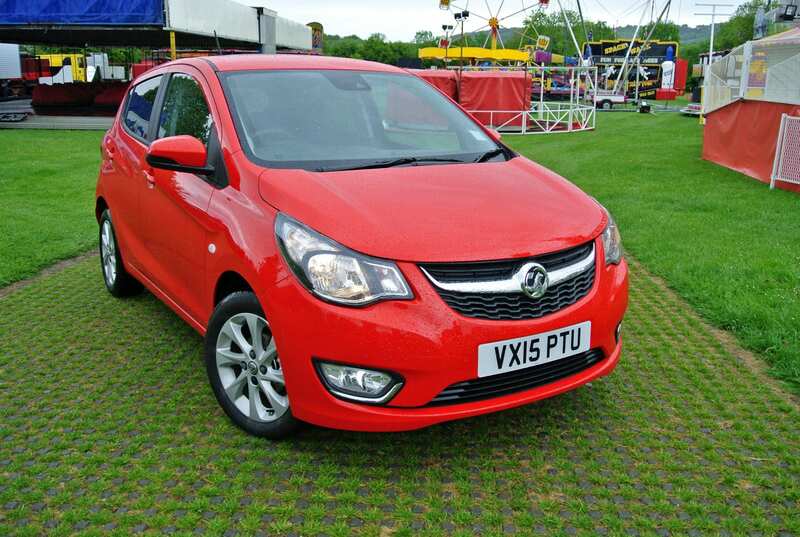 Conclusion: There is absolutely nothing to dislike about the new Vauxhall Viva. It is priced right. It offers good, well-trimmed cabin space and a decent boot. 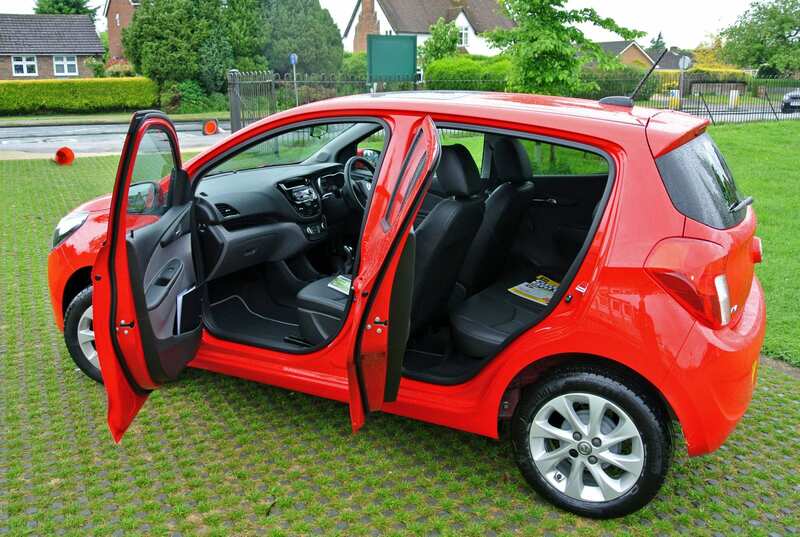 It drives beautifully and is an uncomplicated hatchback. It is an excellent low-cost, allied to low operational costs, compact family car that is more than capable at gobbling up the miles, while remaining comfortable and willing. Is it a class leader? Well…almost. The VW Group 1.0-litre offering still has the edge for me, personally, but the Viva does run it very, very closely indeed.